﻿ Kidfluencer Brothers Tekkerz Kid & ItsRomello launch Infinity Nado! 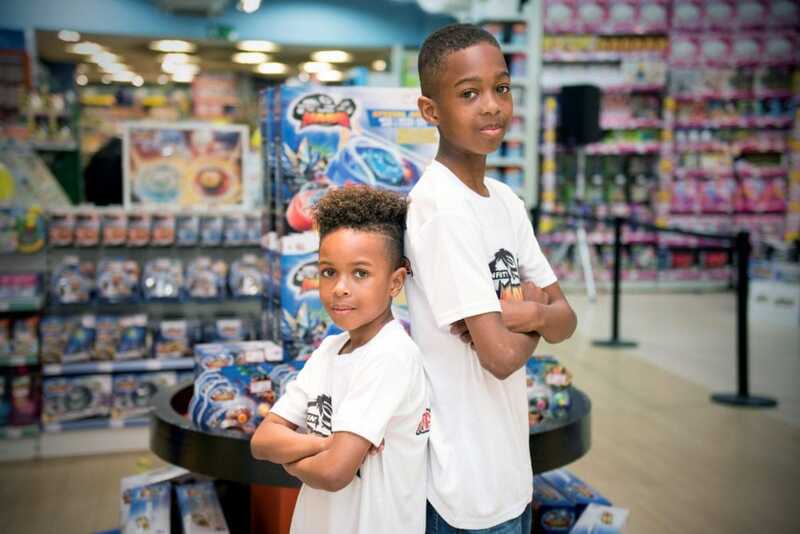 Kidfluencer Brothers Tekkerz Kid & ItsRomello launch new toy craze, Infinity Nado! 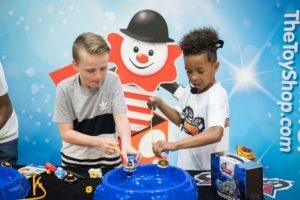 Viral Talent teamed up with Mi PR Global, The Entertainer and Alpha Animation to deliver a bespoke Tournament and Meet & Greet Launch Event for the new battling toy craze, Infinity Nado. This campaign was led by influencer brothers, Tekkerz Kid (394k Subscribers) and It’s Romello (166k Subscribers) who’s competitive nature and mischievous personas enticed the fans to get involved! Prior to the launch event we created buzz around the new line by featuring a dedicated unboxing and demonstration video on Tekkerz Kid’s channel, highlighting the exciting features Infinity Nado has to offer. This was supported by instagram posts on both Tekkerz Kid and It’s Romello’s instagram accounts, all of which gave information of the upcoming event and how to get tickets.The event was set to take place on 10th April and sold out in advance as a result of the Kidfluencers’ promotional activity. The event took place at The Entertainer store in the Bullring, Birmingham. Crowds gathered, as 150 fans eagerly awaited to battle their favourite YouTube stars. The whole event was vlogged and a leaderboard was kept to see who was victorious against Tekkerz Kid and It’s Romello. Once the fans had battled the brothers, they were then handed an Infinity Nado goody bag which came with an exclusive limited edition golden Nado for them to take home. The event was also livestreamed on Tekkerz Kid’s Instagram account which peaked at 6000 simultaneous live viewers! Julia Swan of MI PR Global said: “With the task of launching a brand new product to the UK market, we needed to create a unique campaign that was highly relevant to our target audience, in order to not only build brand awareness for Infinity Nado, but ultimately result in sales at retail. 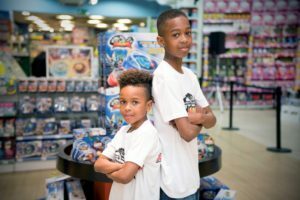 Mark Hyndman, General Manager at Alpha Animation added “We had an idea to look for a different approach to help with our product launch so we approached the team at Viral Talent who suggested Tekkerz & Romello. I have to say they were a delight to work with, super enthusiastic and great fun too! Their enthusiasm and energy rubbed off on all the kids that came to see them and we all had a really energised and entertaining day, I would definitely work with them again”. To finish the campaign, It’s Romello activated a competition at the end of the event vlog, giving the fans who couldn’t make the event a chance to win the Golden Nado’s by leaving a comment using the hashtag #NadoMaster in the video comments. Click here to view the video has gone on to receive over 100k views and 1,400+ comments. Watch both the videos below and check out the ToyNews report here.